In this, the seventeenth in my series of posts exploring soft skills, I want to focus on Self-confidence. How does Self-confidence drive success? One of the problems I have with this particular soft skill is that it can easily become or be viewed as arrogance. There is a fine line between being self-confident and allowing your ego to overtake you, leaving others with the perception that you consider yourself superior to them. Self-confidence has been defined as a feeling of trust in one’s abilities, qualities, and judgment and the belief or confidence in oneself that one knows what to do, how to do it, and can handle challenges as they arise. The factor that stops self-confidence from moving into arrogance is humility, which is to say that you remain self-aware about others’ perceptions of you and are able to modify your behaviour to avoid coming off as brash or sounding like a know it all. As I continue my study of Soft Skills I become more convinced about how connected they are with Emotional and Social Intelligence. Emotional Intelligence is based on the foundation of first knowing yourself, managing or controlling yourself, social awareness or knowing others and finally relationship management or, simply put, doing things for others. The foundational piece for all four of these areas is self-awareness. 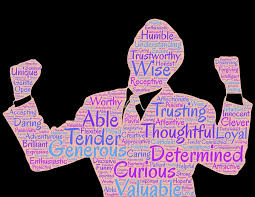 Self-confidence then comes into play in how well you feel about your level of self-awareness; how well you understand your own strengths and weaknesses, and strengthening and improving both. Confidence is about building yourself up, not tearing others down. And as I have written in previous posts, when you’re confident, you make others around you feel confident too. · Doing what you believe to be right, even if others mock or criticize you for it · Governing your behavior based on what other people think. · Admitting your mistakes, and learning from them · Working hard to cover up mistakes and hoping that you can fix the problem before anyone notices. Find ways to build up others. Acknowledge others’ contributions, and express your gratitude. By exhibiting self-confidence you are demonstrating your belief in self, increasing your own self-awareness and presenting a confident, positive image. As a soft skill, self-confidence will give you an advantage over others and lead to better success. Self-confidence, like all Soft Skills can be improved. In fact, a few very simple tactics can help you quickly build your self-confidence. As you become more confident, you will find that you will have experiences that will build your confidence even more. How confident are you? It can be hard to assess our own self-confidence. Taking some time to ask a few questions and answer them honestly can help you gauge the areas where your confidence is high and the areas in which you can develop greater self-confidence. How strongly do you agree with these statements? I know intuitively what’s right for me. I am honest with others. I feel comfortable being wrong. I am more interested in finding out what is right than being right. It is not important to me that I be right all the time. I feel like I can meet any challenge. I operate well under pressure. I do not put others down. I like to share the spotlight with others. I have a clear vision for my life. Stay away from negativity and bring on the positivity. This is the time to really evaluate your inner circle, including friends and family. This is a tough one, but it’s time to seriously consider getting away from those individuals who put you down and shred your confidence. Even a temporary break from such people can make a huge difference and help you make strides toward more self-confidence. Change your body language. This is where posture, smiling, eye contact, and speaking slowly come into play. Just the simple act of pulling your shoulders back gives others the impression that you are a confident person. Smiling will not only make you feel better, but will make others feel more comfortable around you. Imagine a person with good posture and a smile and you’ll be envisioning someone who is self-confident. Image. Go the extra mile and style your hair, give yourself a clean shave, and dress nicely. Not only will this make you feel better about yourself, but others are more likely to perceive you as successful and self-confident as well. Don’t accept failure and get rid of the negative thoughts. Never give up. Never accept failure. There is a solution to everything, so why would you want to throw in the towel? Make this your new mantra. Succeeding through great adversity is a huge confidence booster. Low self-confidence is often caused by the negative thoughts running through our minds on an endless track. If you are constantly bashing yourself and saying you’re not good enough, aren’t attractive enough, aren’t smart enough or athletic enough, and on and on, you are creating a self-fulfilling prophecy. You are becoming what you are preaching inside your head, and that’s not good. The next time you hear that negativity in your head, switch it immediately to a positive affirmation and keep it up until it hits the caliber of a self-confidence boost. Be prepared. Learn everything there is to know about your field, job, presentation–whatever is next on your “to conquer” list. If you are prepared, and have the knowledge to back it up, your self-confidence will soar. For tough times, when all else fails: Create a great Life is full of challenges and there are times when it’s difficult to keep our self-confidence up. Sit down right now and make a list of all the things in your life that you are thankful for, and another list of your accomplishments in which you take pride. Once your lists are complete, post them on your refrigerator door, on the wall by your desk, on your bathroom mirror–somewhere where you can easily be reminded of what an amazing life you have and what an amazing person you really are. If you feel your self-confidence dwindling, take a look at those lists and let yourself feel and be inspired all over again by you. Finally, one key trait of people who have high self-confidence is that they build up others rather than tearing them down. Having self-confidence means that you do not feel competitive with others. Their success doesn’t diminish your own. Find ways to build up others. Compliment them. Acknowledge their contributions, and express your gratitude. Being a mentor can also help to build others up by helping them develop skills, which will help them develop their own self-confidence.